Many people mistakenly think that nonprofit organizations mean “low budget” groups that work expressly with a volunteer workforce. Well, we’re here to tell you that not only do they hire employees and contractors, many have also jumped onto the work from home bandwagon. 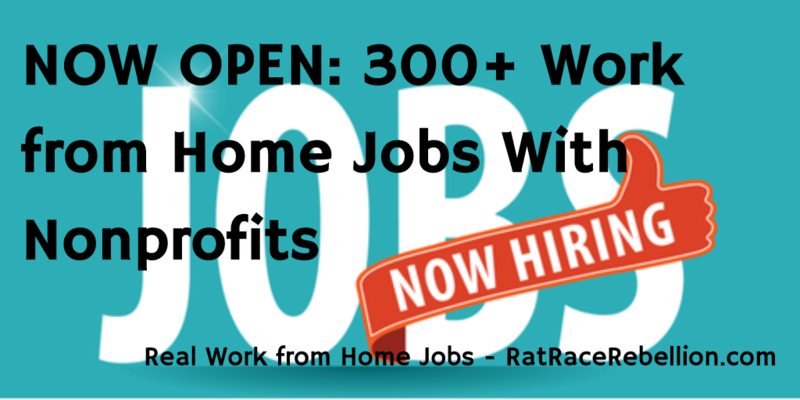 In this RatRaceRebellion.com VIDEO TUTORIAL, we’ll show how to use one of our favorite nonprofit job sites to see over 300 work from home jobs that are open right now! This entry was posted in Nonprofit jobs, Work at Home Jobs and tagged Idealist.org, nonprofit. Bookmark the permalink.